It is going to be a vintage year for Classic Rock shows in Birmingham as 2017 sees the arrival of five of the biggest bands in the world to the city's arenas. 1. First up is Black Sabbath at the Genting Arena on February 2 and 4. 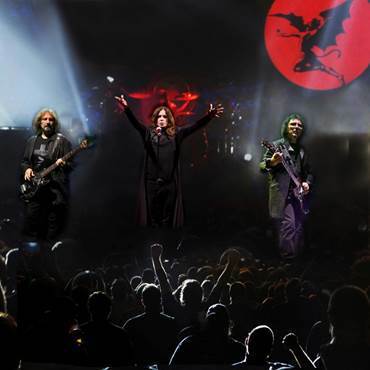 The band's hometown concerts will be historic as they are the final shows ever by the Black Sabbath line-up of Ozzy Osbourne, Tony Iommi and Geezer Butler. After five decades the band has decided to call it a day and undertake a farewell tour, dubbed The End. Birmingham will be a fitting location for the heavy metal finale. Genting Arena's Head of Venue Sales, Ian Congdon, says: "It will be an honour and a privilege to have Black Sabbath back on home turf for their final shows in the birthplace of heavy metal. For them to play their final shows back where it all began in Birmingham will be an emotional, historic and momentous homecoming not to be missed." 2. 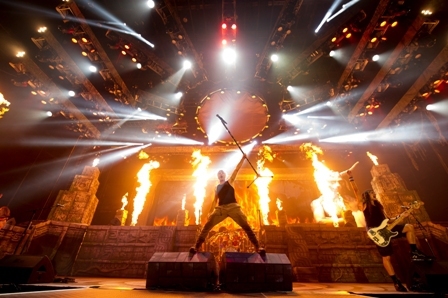 Rock legends Iron Maiden continue their hugely successful The Book of Souls world tour into 2017 with a series of European arena shows, including a date at Birmingham's Barclaycard Arena on May 21. The tour opened in Florida in February 2016 and has already visited 36 countries using the band's new 747 jumbo jet, Ed Force One, piloted by frontman Bruce Dickinson. The plane has flown the band, crew and 22 tonnes of equipment over 61,500 miles across six continents during the 72-date leg, playing to around 1.5 million fans. The Book Of Souls is Maiden's first double studio album and their most successful chart-wise to date, debuting at number one in over 40 countries. Founder member and bass player Steve Harris says: "The whole band is really enjoying this tour and although we love playing festivals and stadiums, it is terrific to return to the intimacy and atmosphere of arenas. The songs from The Book Of Souls album and the new Maya-themed Eddies and stage sets have gone down really well and fan reaction has been amazing." 3. Kiss are one of the most iconic and influential rock acts of all time and on May 28, 2017, they will be rockin' Birmingham's Barclaycard Arena. 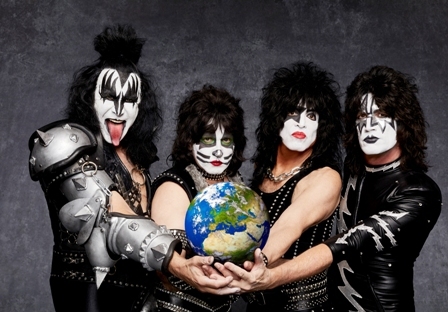 Paul Stanley, Gene Simmons, Eric Singer and Tommy Thayer toured the USA during July, August and September, 2016, and their shows in 2017 will be their first European gigs since 2015's series of sold out festival and arena shows across the Continent. Kiss have released 44 albums and sold over 100 million records worldwide. 4. 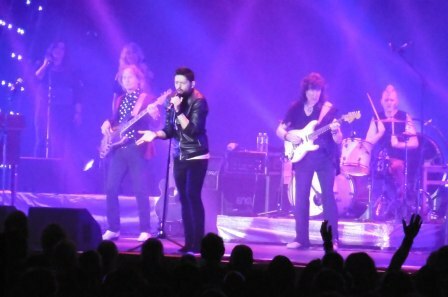 Following their triumphant sold-out show at Birmingham's Genting Arena in 2016, Ritchie Blackmore's Rainbow return to the Arena on June 28, 2017, as part of a UK tour. The renowned guitarist has returned to the rock music of his bands Deep Purple and Rainbow after turning his back on it for almost 20 years in favour of playing Renaissance tunes with Blackmore's Night. The gig will feature classics from both Rainbow and Deep Purple's anthemic catalogue, with Blackmore being joined on stage by former Blackmore's Night bassist Bob Nouveau, Blackmore Nights' drummer David Keith, Stratovarius's keyboardist Jens Johansson and singer Ronnie Romero, from Santiago, Chile, who Blackmore describes as "a cross between Ronnie James Dio meets Freddie Mercury." 5. Deep Purple will have new music to promote when they play Birmingham Barclaycard Arena on November 17, 2017. Their new album, inFinite, is released early in the year and the band will embark on their Long Goodbye Tour with special guests Europe. 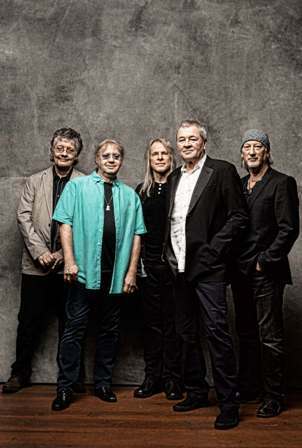 Ian Gillan, Roger Glover, Ian Paice, Steve Morse and Don Airey - Mark VIII of the band - continue to rock around the world but never forget the band's roots as they perform fan favourites from the likes of 1970's In Rock and 1972's Machine Head. Their most recent album, Now What?, has sold half a million copies and videos, From the Setting Sun in Wacken and To the Rising Sun in Tokyo charted on the same day at one and two in the UK's music video charts. Oh my gosh, that takes me down memory lane! Wow. Birmingham is going to be rocking in 2017. Great top five.